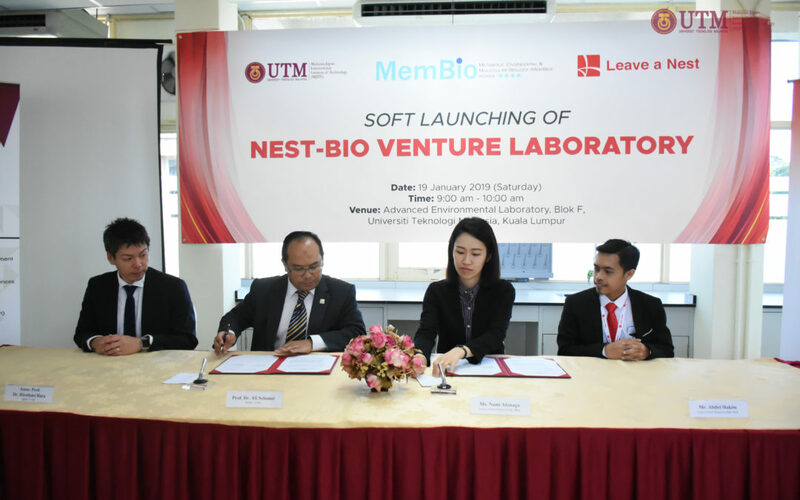 Universiti Teknologi Malaysia (UTM) is pleased to announce that it is holding the soft-launching joint venture lab between Leave a Nest Malaysia Sdn. Bhd. 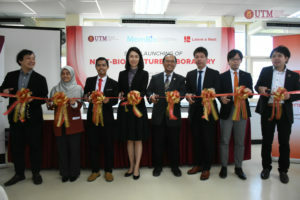 and Malaysia-Japan International Institute Technology (MJIIT), its first Biotechnology Laboratory and Incubator in collaboration with MJIIT, UTM. Time : 9:00 a.m. to 5:00 p.m.
Venue : UTM Kuala Lumpur, Jalan Sultan Yahya Petra (Jalan Semarak), 54100, Kuala Lumpur. The first collaboration of Biotechnology Laboratory and Incubator, platform to foster partnership and cooperation in supporting the needs of Malaysian researchers and biotechnology startups. Leave a Nest Malaysia Sdn. Bhd. and MJIIT, UTM Kuala Lumpur will organize for a joint laboratory called Nest-Bio Venture Lab with support from MEMO-Bio (Metabolic Engineering & Molecular Biology) innovative Kohza (iKohza) for 4 years starting from 2019. 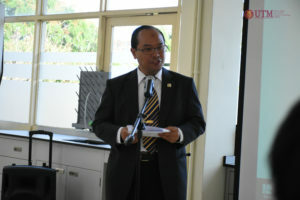 MEMO-Bio iKohza is a research group that specializes in genetic engineering and waste utilization at MJIIT, UTM. Nest-Bio Venture Lab will have an incubator for biotechnology startups and incubates will have the privilege to use the lab space, access to one of a kind, high-end machines such as Next Generation Sequencing (NGS) machine, and obtain expert consultations from MJIIT, UTM.